Click here for advanced ticket sales locations! Silent Auction to be ongoing until Saturday at 3:30. As part of the Christmas Sampler tradition, now in its 41st year, a unique quilt is given away to one lucky attendee. Join us in the fun & see if you're the lucky winner! 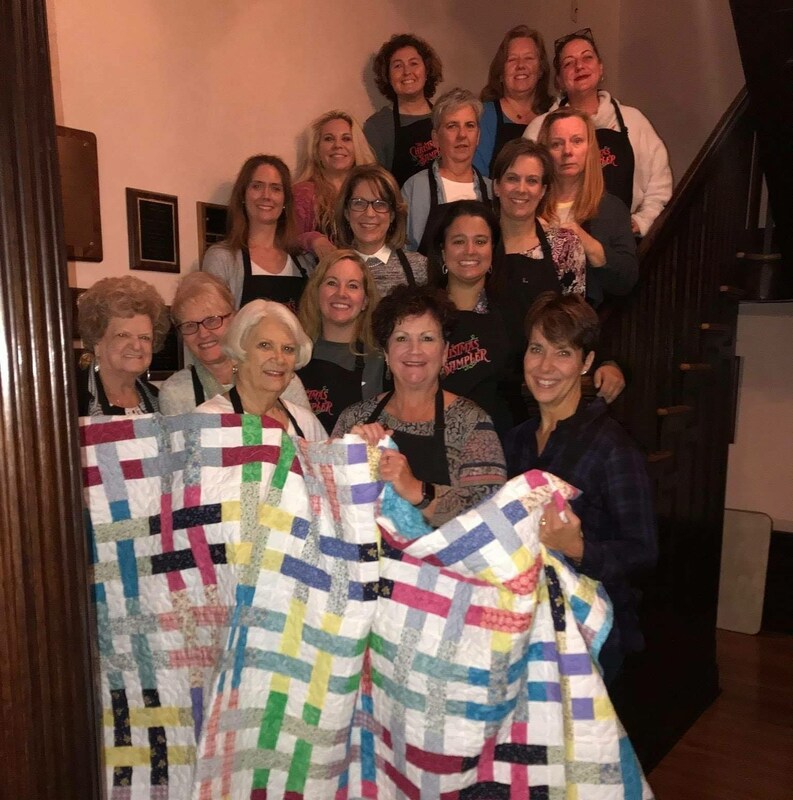 Pictured below is the 2018 quilt that was given away at the Sampler! The Christmas Sampler features more than 100 booths of quality arts, crafts, jewelry, children's clothing, specialty boutiques, antiques, and more. Food and drink are available from the Glenn's own Cateress, Kenya Dossett with 24 Catering and Whitt's BBQ of Springfield. Hundreds of homemade baked and canned items are for sale at the Federation Booth. The Federation also sponsors a silent auction booth with many items from local businesses. The Christmas Sampler is sponsored by the Springfield Federation of Women's Clubs. Proceeds provide for the maintenance and restoration of the Glenn Memorial Home located in Springfield Historic District.